My four year old daughter and her cousin of the same age, with the help of their Grandpa and I. 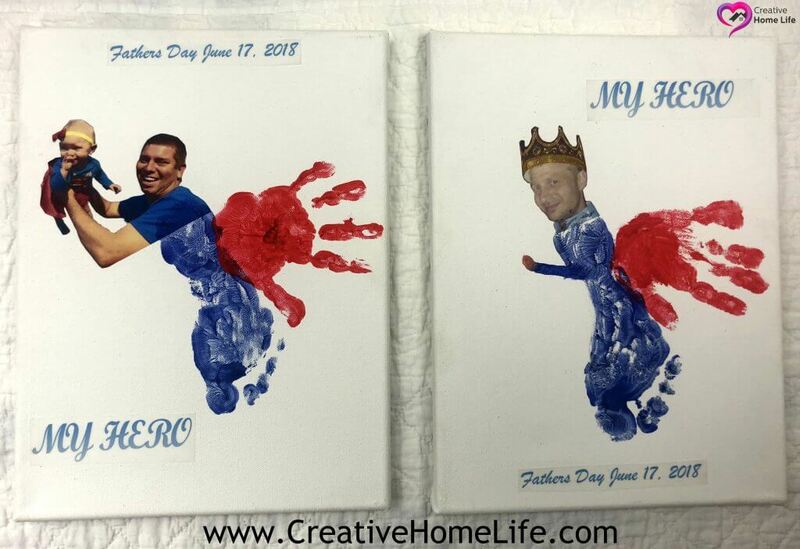 Made these silly “Hand & Foot Print Superhero” crafts, for their Dad’s! I asked the girls if they wanted us to paint their Daddies heads on or if we should add real photos of their daddies to the canvas’s. They of course picked adding Dad’s real photos. We are super happy how they turned out. The girls couldn’t stop laughing and were so excited to give them to their Daddies! Paint the bottom of your child’s left foot with the blue paint. Stamp it on the canvas at an angle. 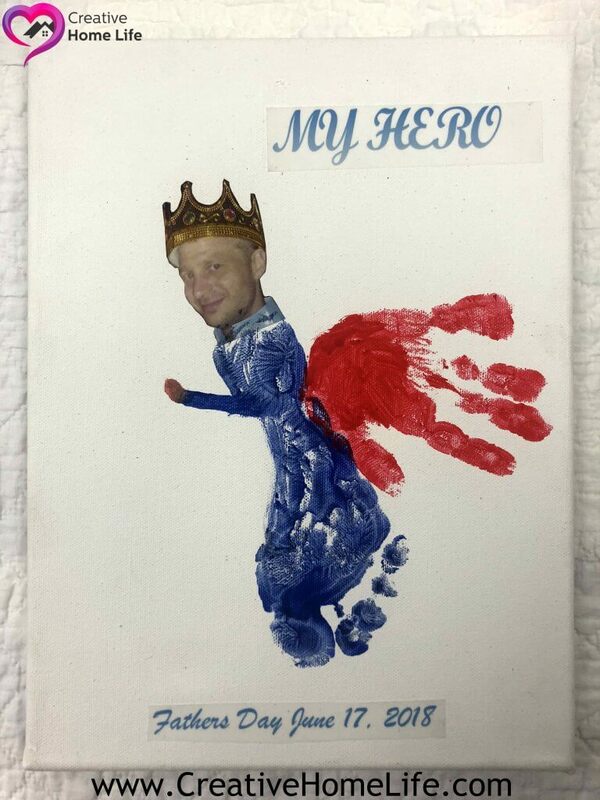 Paint your child’s left hand with red paint and stamp it, where a cape would be on the Superhero. Print photo of Dad and any words you want on your canvas onto a printable translucent shipping label and stick them where you want on the canvas. 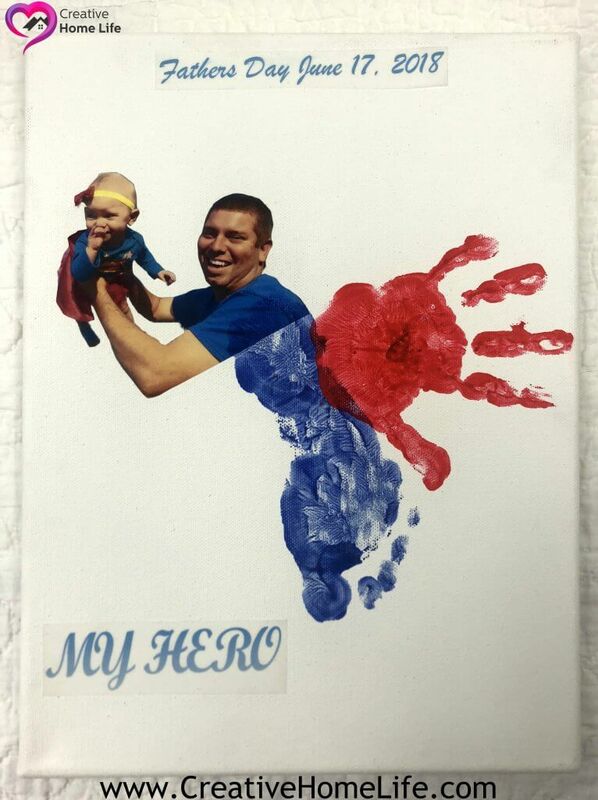 Paint the arm on your Superhero Dad. Unless, if you use a photo showing his arm. If you have any questions about our “Hand & Foot Print Superhero” craft, or anything else… Please feel free to message me or leave a comment.